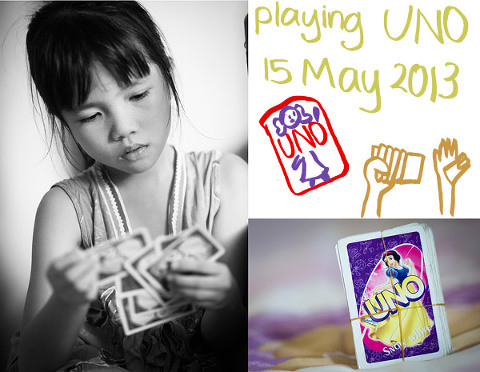 Playing UNO at home. Photos plus her own handwriting. She wrote it using the WACOM stylus and tablet.